Are babies REALLY that expensive? Are You wondering how to afford a baby on a tight budget? Was I being totally naive to assume that we could have a baby without going into debt? Would raising this kid break us? What if my blog didn’t make any money, (my backup plan to supplement maternity leave) and we had to get by on LESS than we had coming in now? Because making sure a baby doesn’t cost a fortune is exactly the same as making sure any area of life doesn’t cost a fortune. There are things you can do (always) to keep day to day costs from sending your bank balance into overdraft. There are lots of great ways to save money on baby’s first year. If you are a two income family – about to become a one income family – then you need to look at the big picture and make decisions now about how you will handle things then. 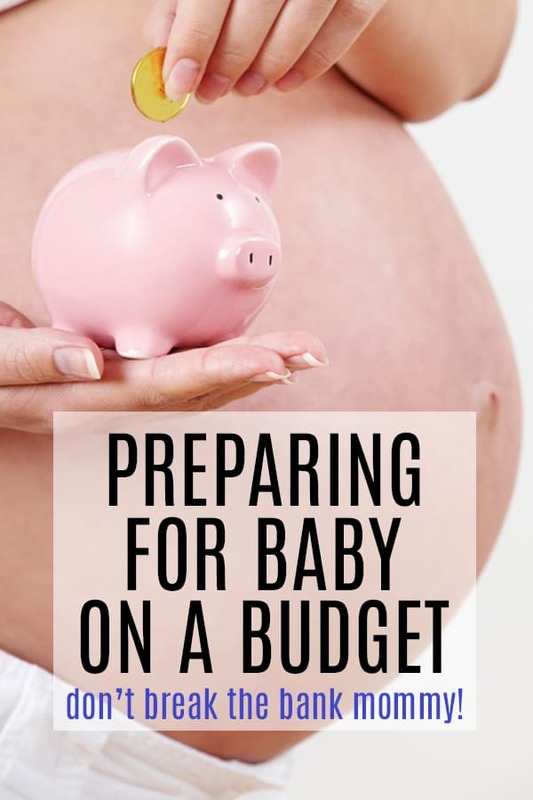 This is the most crucial step in preparing for a baby on a budget. Will you take maternity leave? Will you return to work early? Does it even make sense financially to pay someone to look after your baby? Will you return to work at all? We looked at our big picture and decided that while we probably could live off of just my husbands income, it would be very hard. A dedicated chunk of cash sitting there will act as a buffer between those surprise baby costs and your bank balance. 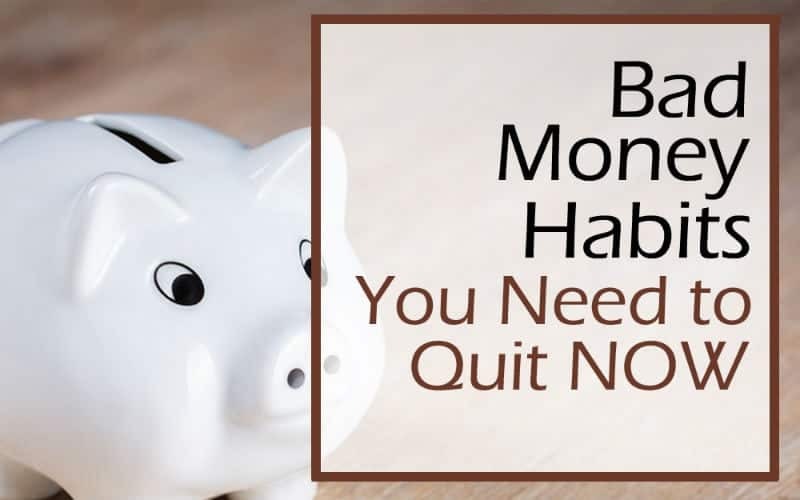 If there is no wiggle room in your budget for setting money aside then now, then find a way to earn extra money just for this. Sell stuff at a yard sale, take surveys online for cash, baby-sit (it’s good practice! ), make something and sell it at a craft sale, become a Tupperware consultant – do whatever it takes. Newborns need very, very little. There are SO many things that we think of as necessary that just aren’t. I’ll let you be the judge of what your baby does and doesn’t need… but when we brought our baby home from the hospital we bathed him in the sink, often changed him on a towel laid on the spare bed (even though we do have a change table), and to this day we still don’t own a stroller. Babies in Denmark sleep in cardboard boxes. You can get by with very little stuff. That said, you often don’t HAVE to get by with very little stuff. Doing without is my secret to having a baby on a budget AND keeping the house cleaner. Hallelujah. Now that our bug is a little bigger and the freezer meals are long gone, it still saves a fortune to meal plan. There is no shame in second hand. I think there should be shame in NOT shopping at the thrift store. I can’t even fathom how much wasted is prevented and money is saved, just by the existence of thrift stores. Second hand shopping is one of the easiest things you can do to save money when having a baby on a budget. We bought a monitor new, because I found a good one on sale and had a gift card to the store. I also bought pacifiers and a few of these gorgeous swaddle blankets just because I wanted them and hadn’t spent a dime on the baby so far. So I felt like I could justify it. And just because our baby is dressed in second hand doesn’t mean he’s dressed shabby! There is SO MUCH second hand baby stuff out there that’s brand new, I don’t bother putting him in anything that isn’t absolutely 100% new looking and adorable. New mommas are spending money and everyone wants a piece of that. To get your attention, loads of companies are offering some – pretty snazzy – freebies. 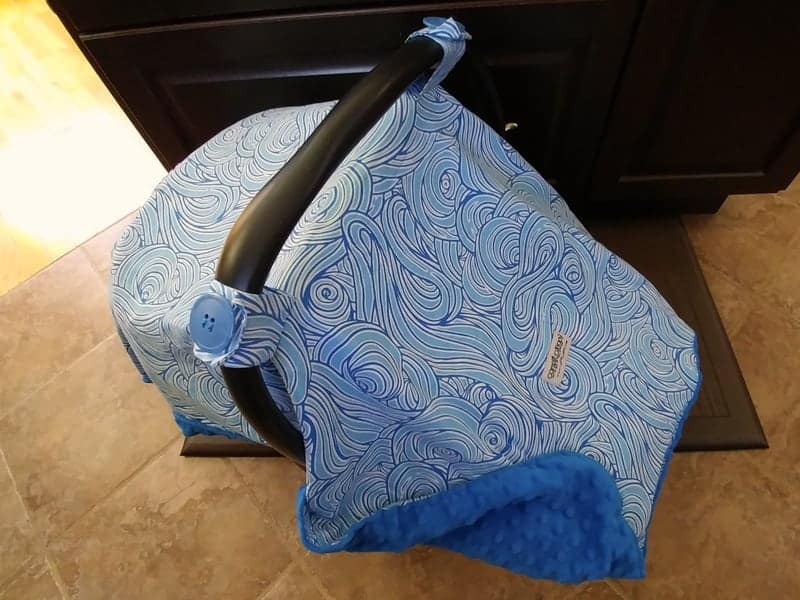 Like this car seat canopy we have for babe – these are 100% free – with a coupon code (you just pay the shipping). You can grab yours here with the coupon code mommyonpurpose50. It is SO much fun to buy baby gifts you know people will love. It really is! And so when people ask you what you need – and they will ask – tell them! My sister put on a beautiful baby shower for me and I had her tell everyone that we already had a TON of baby clothes. Take advantage of baby registries to make sure people know what you need! Amazon has an AWESOME registry – Create an Amazon Baby Registry . I know that not everyone can. And I know how hard it can be. Believe me, the first two and half months of breastfeeding were terrible for me. (They really were. I was in constant pain and I wanted to quit a lot.) But, perseverance has paid dividends in this case. Not only do I get to have the experience of joyful breastfeeding (which had seemed pretty elusive in the beginning), but this is free baby food. Yay! Talk about baby budget friendly! 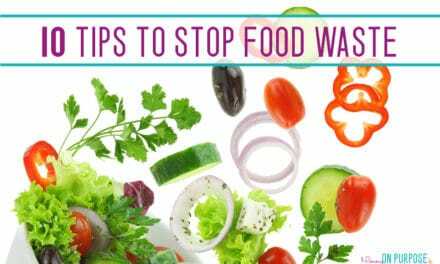 Steaming and mashing veggies isn’t as hard as you think, and this comes with the (pretty huge) bonus of not giving your baby any weird chemical additives. If you get yourself one of these snazzy little things, you’ll have saved 10 times more than you’ve spent within a couple months. It doesn’t seem like baby food costs that much when you’re just buying a weeks worth – but it really does add up! I know cloth diapers are better for the environment. I know. And I know that if you’re going to have 14 kids and reuse the diapers for each kid, you might save 17 cents per week on cloth diapers. But I’d like to see the math. Honestly, once you add up water, energy, soap, diaper liners, washing machine wear and tear – and TIME, I really REALLY do not believe that the savings on cloth diapers vs disposables is significant. For sure, there’s a cost to diapers. But we just haven’t found it to be that crazy high. For one, we have an amazon prime subscription. You get an automatic 20% off of diapers when you join Amazon prime – not to mention other awesome discounts. I have SO loved having this subscription – every time I realize I’m almost out of something I just send off my order, and I never worry about shipping. You can Join the Amazon Family 30-Day FREE Trial here! If you buy everything new and everything you want. Even with the new baby expenses (which is really just diapers / wipes / bum cream), we are actually saving more money since our babe has been born. I don’t spend much on gas for the car, or lunches / coffee out. I don’g get into the store often (so less shopping across the board), and I’m over all more diligent about what were spending. 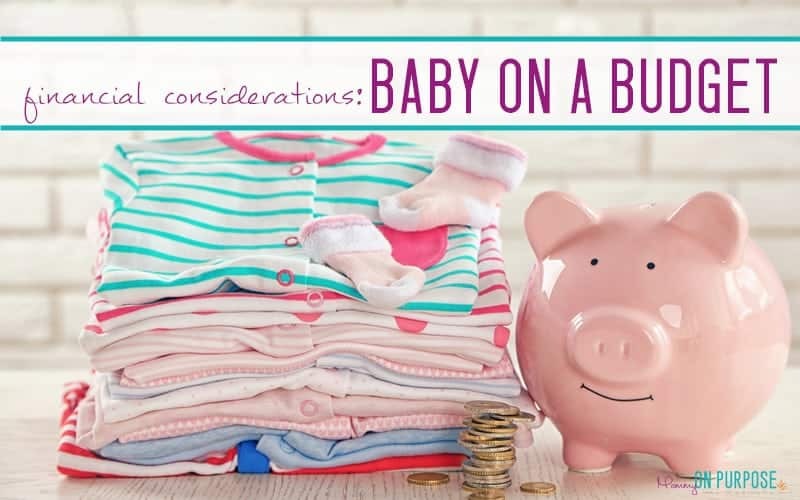 If you consider all the ways you can save money on baby’s first year, you might find it’s not as financially scary as you think! 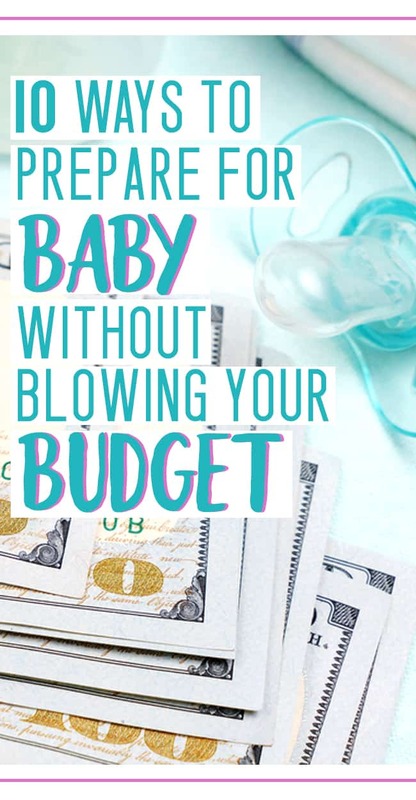 Share your best tips for having a baby on a budget! NextOver 500$ in FREE STUFF for New Baby (and Their Mommas!)! SUCH good advice – sometimes it’s tempting to say yes to stuff we don’t need just to not seem ungrateful! I totally agree, we did a LOT of these things too! I absolutely LOVE buying baby stuff second hand, because so much stuff rarely (if ever) even gets used! And I totally agree about disposable diapers versus cloth. We buy Up and Up diapers (Target store brand) and I estimate a year of diapers cost us at most $250. At the end of the day, especially with little ones at home – time is so precious! How do u earn money by blogging? I want to try and peruse that bc I want to be a stay at home mom. Thank you so much for this! It makes me think that I can be a stay at home mom and we can still enjoy life a little! 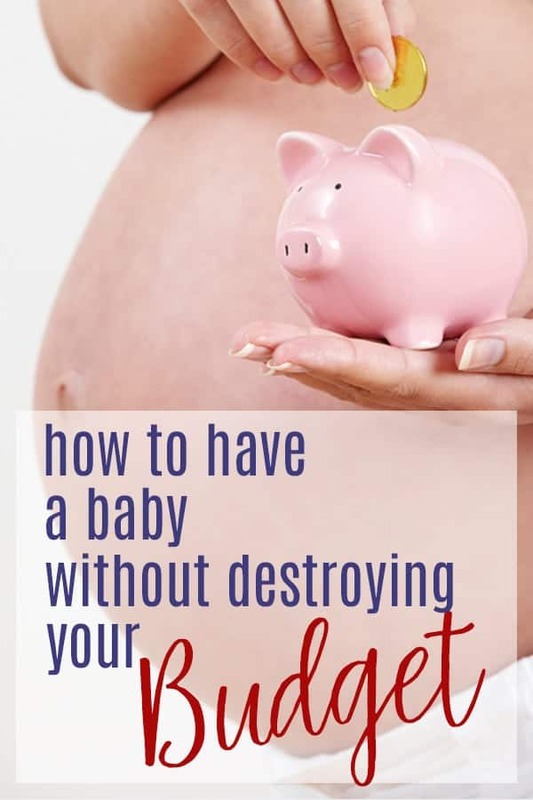 I’ve been stressing out a lot about it because I really don’t want to work after this baby gets here and these are some awesome ways to save money! I know things will be tight and if I have to I’ll go back to work but I can see us saving money after this baby gets here! Thank you!! You are so welcome – congrats on the babe!!! This was a good read! I especially agree about the second hand suggestion. No shame and those tiny outfits barely get used anyways! TOTALLY!!! I love me some second hand baby stuff. Your links are a godsend! Even though most of them aren’t totally free, I’ll take $50 for a body pillow instead of $100! These are so so so rad. I hope you get some sleep! !